This article discusses the algorithms’ sieves for finding prime numbers. We consider in detail the classic Sieve of Eratosthenes, particularly its implementation in the popular programming languages, parallelization and optimization, and then we will describe a modern and fast Sieve of Atkin. 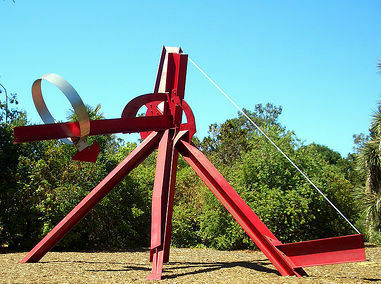 Here is a picture of the Sieve of Eratosthenes sculpture that was created by abstract expressionist Mark Di Suvero, constructed on the campus at Stanford University.